The worst five minutes of my life. Dear people, thank you so much for your very kind and compassionate responses to this post. I just want to make sure new readers know that this occurred six years ago (July 8, 2007). My family is doing well now – we did work through the lingering effects of post-traumatic shock, and we continue to celebrate the happy outcome, cherish our two sons, and remain grateful for Erika Weiland, who saved our son’s life. One of the ways I try to honor the grace we were given on the beach that day is to get the word out about this kind of accident and how to prevent it. Thank you for reading, and for helping spread the word. I knew my blogging would be sporadic while on vacation, but I had not intended to take a hiatus for this long. Life intervened. A week ago tonight, my family sustained an enormous trauma and near tragedy. Miraculously, all ended well. As life is slowly turning back towards “normal,” I am feeling more energy to put into words what happened, and I find I need to, more and more. What follows is the story of how we almost lost Little Buddha, and how a total stranger saved his life. I have decided to break with my usual blogging habit and use everyone’s real names. The telling of this story seems to demand it. Last Sunday, on our next-to-last night at Santa Rosa Beach, our family headed down to the beach – me, Paul (My Old Man), Rob (Little Buddha), Charlie (Tiny Dancer), My Old Man’s daughter S, her husband L, and their baby J. The red flag was up, indicating hazardous water conditions, so I had already decided we would only play in the sand. When we got to our usual spot, not very far from the lifeguard tower, we began setting up our chairs, right along the ledge where the soft sand drops to the packed sand. I was setting up chairs while Paul watched Rob and Charlie play in the sand about 6 feet away. I asked Paul a question about the chairs and he turned to answer me. Within seconds, I became aware of only one child in my peripheral vision. I turned to look directly, and did not see Rob. A quick scan of the beach in all directions was enough to let us all know that he was nowhere he could’ve gotten in that very brief period of time. We immediately thought he had been swept out by the water (we were somewhat close to the water, and I feared Rob had somehow accidentally backed into it – he is afraid of the water and would never go into it on his own). I screamed for help while Paul ran out into the water to search for him. Many people came to help us, some assuring us that he had probably just wandered away. I tried to flag the lifeguards two or three times, without success. Paul’s daughter ran to get them, and they proceeded to treat it as a “child wanders off” situation, telling us “this happens all the time” and not to panic. I knew how quickly he had disappeared and was certain something terrible had happened. (I am grateful for that certainty, because in the end it turned out that time was of the essence and if I had not quickly gotten so many people to help us look for him in the immediate area he had been, we would not have been able to save him). I still don’t know how he survived being totally buried (8-10 inches above his head) for more than 5 minutes in the sand. Perhaps there was an air pocket? Perhaps he had somehow fallen in with his hand over his mouth? We have no idea. His eyes and mouth were closed when he was pulled up, and we think perhaps he had passed out, but he fairly quickly opened his eyes and began to cry. He had no sand in his nose or mouth. After the EMTs checked him out, we went to the hospital for a chest x-ray and it showed he had no sand in his lungs either. We realize we are exceptionally fortunate – not only to have found him, but to have found him alive and okay. I would never have thought to look in the sand for him, and if the young woman helping us search had not noticed the indentation and thought to look there, we surely would have lost him for good. What we have been able to piece together in retrospect, based on what Rob has been able to tell us, is that there was a hole there (the woman who discovered him remembered seeing some boys digging a hole in that area not long before we arrived), and that he stepped in it (either accidentally or on purpose, we are not sure – he says he fell in). As soon as he was in it, it caved in (in his words: “I fell in a hole. The sand kept coming in. The hole closed, and it locked. I don’t like to be locked.”) He was in a crouching position when he was dug up, and I get the impression from his acting out of things that perhaps his legs buckled beneath him (as a very cautious and not particularly physically adept child, he is not a jumper – I cannot imagine him jumping into the hole and landing in a crouch position). I think the collapse happened immediately. What Paul and I cannot figure out is if the hole was already as deep as it was when we found him (in a crouching position with 8-10 inches of sand over him), or if the hole somehow sunk beneath him as soon as he stepped in. Given that the hole was in the ledge of soft sand, we have wondered if the tide somehow had hollowed out some of the sand beneath the hole, so that when he stepped in the floor of it dropped. At the time, we thought it was a “freak accident,” and the hospital personnel certainly treated it as such (after ruling out foul play). Later that night, I googled “buried in sand” to see if anyone else had experienced such a thing. First I found this. Then I googled “buried in sand death” – and I discovered that just two weeks before Rob’s accident, a physician in Boston had a letter published in the New England Journal of Medicine about just this thing, sand hole collapses. I was shocked by his findings, which the AP picked up (you can read a summary here). I have been in extensive conversation with Dr. Maron since Rob’s accident, and the conversations have driven home even more how very fortunate we are. Last summer, a woman in Australia was at the beach with her child. She walked to the water’s edge to wash something off, and when she turned around, her child was gone. The lifeguards and others treated it as a child abduction situation, and began a full search of the beach. Sometime later, someone remembered seeing the child playing in a hole in the sand. People began to dig, and discovered the child, who was dead. In 60% of these kind of accidents, the victim dies – I imagine that number is even higher if the accident is not witnessed (as was the case for us). The fact that we not only found Rob, but got him back alive and totally okay (no brain damage, for instance) is astounding and overwhelming beyond words, and we are living in the amazement and gratitude for what feels like a miracle (and for our personal angel, Erika Orlando, the woman who found him and, by doing so, saved his life – and ours). At the same time, it is hard to describe my other reality – the fact that for many minutes I was living with the horror and grief of thinking my little boy was dead. Those emotions and that fear got somehow seared into my mind and heart, and it has been hard to come fully back from those moments. Still, every moment I get to kiss that sweet face, hug that sturdy body, smell those golden curls, and hear that little voice feels like a miracle all over again. I am beyond grateful. It may be awhile before I return to my regular blogging, or to my regular blogging topics. I still feel fragile and vulnerable and a bit consumed with what happened that afternoon at the beach. I wanted to let you, my internet friends, know what my family has been through and why my blog may “go dark” for a bit. The earth swallowed up my little boy, and we somehow got him back. I can not even imagine. I am so glad that he was found okay. Thank God that woman was there and noticed the sand. Thank God people were looking and able to dig him up. I can’t even begin to imagine …. so glad it all ended well. Also, Oprah did a show on this a couple of years ago. I remember not even knowing something like that could happen. (I’m thinking the mom who was featured on that show worked with the doctor who just released the article too) It’s so scary to think of. I just am so glad it turned out okay for you in the end. I had a hard time reading this because I could feel your pain. I believe that God answers our prayers thru other people and that woman was your son’s Angel. Oh my gosh, that is awful. Thank goodness everything turned out ok. I have no words to offer. Only that I thank any and all higher powers that he is ok. I am wiping away my tears and after I post this, I am heading to hug my Boys. It makes my life problems small. But in the end, your boys and my boys are all ok and will heal. Sending love to you all!!! Praise God your baby was found in time. Though I know that God was watching over him and all of you. I have tears streaming down my face as I read and respond to this blog entry. My little guy is just slightly older than your two and I know how you feel. I had some close calls with my dd when she was young. I am thankful and grateful that your boy is well today. What a horrendous experience that must have been, but you got him back, safe and sound. Celebrate the goodness, and let the badness go. I love that too Dave. “Celebrate the goodness, and let the badness go!” You have JUST saved someones child be sharing this story. I’m sure there are MANY people besides myself that have NEVER heard of this until reading your story. What was meant for bad, turned out to be good. I have NEVER commented on a blog but found this through a friends that shared it on Facebook. You have already made a huge difference in the world by sharing your MIRACULOUS outcome! I can not even imagine how frightening the whole experience must have been. Words can’t express how glad I am that your story had a happy ending. I need to go hug my littles and remember that their arguing and tantrums are really not much in the grand scheme of things. Thank you for sharing your story. Oh, my goodness. I’ve never even heard of this and found your blog from another blogger. I’m so thankful that your son was found and completely ok. I was not aware of sand hole collapses, but I will be alerting my friends who have little ones about this, esp. my sister who’s going to the beach this weekend. Take care of yourself and your family. Delight in the fact that you did get your little boy back and you will be ok. I can only imagine how terribly tough it must be to bounce back from that though. What a nightmare. I don’t know what to say, other than I’m thinking of you and your family, glad you’re okay, glad he’s okay, glad for the help of kind strangers. Thanks for telling us about it, you know we’re all here for you. OMG. I have no words. I am SOOOO glad he is OKAY!!!!!!!!!!!!! What a traumatic experience – I am so glad your dear boy is all right, and am praying for you all. How awful! I’m so glad things turned out alright. wow. I’m so glad that you found him unharmed. That had to be scary. oh my goodness. what an intense, horrifying, and heartwrenching moment for you and your family–and for your son! I’m so happy to hear that he’s A-OK. Take care of yourselves, take your time coming back. Thank you for sharing your story–it must be incredibly painful for you still. I’m so glad you got him back–I think we all know that feeling when we’ve lost sight of our child, say in a store or something, and the feeling of panic, but wow, I never even knew about sand holes. We love to go to the beach for vacation; next time I’m going to keep my eyes on my boys every second, that is so scary! Hugs to you and your family. Oh my! I can’t even begin to imagine what you were feeling (and are still feeling now). Thank you for sharing your story, I hope that it was cathartic for you. And I’m so glad that Rob/Little Buddha is okay. Thank God everything turned out ok in the end. Oh, how very scary. I am so glad he’s OK. Thank you for sharing this story. I spent large amounts of my childhood at the beach and never heard of this, but no I’ll be extra cautious with my littles. Thank you for sharing that story. like you, I never would have considered that possibility–I had never heard of something like that happening. I’m so happy that your son was found–and ok. Nothing I type here can even come close to what I’m feeling. I am so happy that everything worked out for you & your family! I can’t even imagine how terrified you must have been, how fortunate someone pointed out the indentation in the sand (I never would’ve thought of that either), how angry I would’ve been at lifeguards trying to wave it off…just everything. I know things can happen in the blink of an eye. I’m just glad you’re all OK.
What a story! I’m so glad you were able to save him!! I’m sitting here in tears holding one of my own babies. I’m so very glad that sweet little Rob is safe. Thank the Lord he is OK. I am posting this on my blog a link to this story. I’m so glad to know this terrifying story has a happy ending. Thank you for sharing. I can’t and don’t want to imagaine. I am so happy for you and your family. Ugh, as soon as I started reading, I was thinking it was one of those hole-in-the-sand accidents (I read NEJM regularly and was aware of the recently published letter). Thank heavens it turned out OK. I hope your son doesn’t suffer lasting trauma. My best to you and your family. oh god, i am so glad for your miracle and so sorry you had to experience the horror of thinking little rob was not okay….i cannot even say it. i am laying here with my little guys and thanking every force in the world that kept your beauty safe. he had angels holding him the whole time. you have my thoughts and i am offering prayers of thanks too. hugs and smiles. I can’t even imagine what that must’ve felt like. OMG I am soo glad your child is alive and safe.I am glad you shared your story!This is something to look out for at the beach. I don’t usually read your blog, a friend of mine told me about your experience. I don’t know how old your little guys are, but I have a 5-year-old and 18-month-old and I can totally imagine being in a similar situation. I am so glad to hear that you found your little and that he was completely okay! Stacey, I can’t begin to imagine those horrible, horrible moments you describe. And I don’t blame you one bit for feeling fundamentally changed by them, even if things all turned out okay in the end. I must believe that to honestly think for a few moments that you’ve lost a child is to have a window opened on a pain that you can’t really conceive of without experiencing it — and I can understand how you don’t just bounce back from that. Thank god for all the various pieces of luck that allowed Rob to survive this. I am thinking about you and your family and will look forward to hearing from you again (via your blog) when you’re ready. I can’t imagine the terror, the horror you must have gone throughin those moments of not knowing. OMG…I’m *so* glad this turned out to be a happy ending rather than a cautionary tale. I can’t even imagine the horror you must have had for that whole time — an eternity of panic all compressed into just a few short minutes. Sending good thoughts and joyful wishes to you and yours. God Bless your family and thank God for your Angel who was there to direct you. Thank you for sharing your story so that others can learn from you experience. Goodness this reads like horror fiction and yes it was true- Praise God for the safe recovery of your little one! I will pray for you and for little B. today, giving thanks and pray for strength for you. Stacey, thank God he is all right! What a dreadful and terrifying experience! wow. I’m thankful for your miracle and thankful that you’ve been able to share so articulately about it. Hopefully others will be aware and alert as a result! no words. can’t imagine. just so incredibly grateful that he is alive and well, that you are writing-for-process, and that you can tell the story. take care. As a parent of a young boy, I’m shaken up just reading about this, nevermind actually experiencing it. Thank God. No other words, just thank God. wow. that’s all I can say. Thank God everyone’s okay. thank you for sharing this story with all of us…. Wow. I’m in tears after reading your story. God was really watching over him that day. I’m so glad he is okay. Wow I live near a beach and I have not heard of this. Maybe once things settle down you can start a campaign to get the information out. PRAISE GOD, your son is ok. Thank you for sharing the story,. I am so glad everything turned out okay. That is a very scary thing. Even though it was probably hard, thank you for telling this story. It is going to let a lot of people know this is something they need to look out for. I have heard of this happening before to construction workers who were working down in a hole they had dug and there were people right there with them when it collapsed and they died anyway. A similar thing happened near us at a salt plant. Some kids went on a field trip there and were climbing on piles of salt when some fell down and buried a child, who died. Anyway, the more we know about incidents like this, the more aware we are about the dangers out there and the more we can watch out for our kids. Thanks for telling us about this. OMG I’m so thankful that he was OK – I’ve read too many tragedies lately and am so glad that yours ended well. Thanks for sharing this story with us – we’re heading to the beach in about a week, and you can be sure I’ll be on the lookout now! I’m also going to blog about this, because that’s just too scary. OMG. Big hugs to you and your family! Thank God everything turned out okay. Thanks for sharing this story. It is something I had never heard about. So happy that your sweet son was alive and well, thanks so much for the warning about the sand traps. God was certainly with you on that trying day. I pray that he continues to watch over you and your family always. I don’t have words to express how sorry I am you went through this. Traumatizing and horrifying doesn’t even begin to describe it. I pray that you find some comfort and peace in the days going forward. I can’t even imagine going through that. Any of it. I am a total weeping wreck here at work reading your story. We live near the beach and are there almost every weekend. As kids we used to dig humongous holes and play in them. I read the story from Dr. Maron a few weeks back and was reflecting on those huge holes, thinking that we were lucky that they never collapsed on us. And I made a vow that I’d never let my kids do that, thankful to have seen the article. How horrible that Rob fell into a hole that other kids had dug and carelessly left there. How scared he must have been. His account of what happened is beyond heartbreaking. I just can’t believe that he’s okay, it’s such an amazing, wonderful thing. My heart goes out to you, Rob, and your whole family. Take care, and don’t worry about not blogging–we know you’re spending time with your family. I am so glad that things turned out so well! 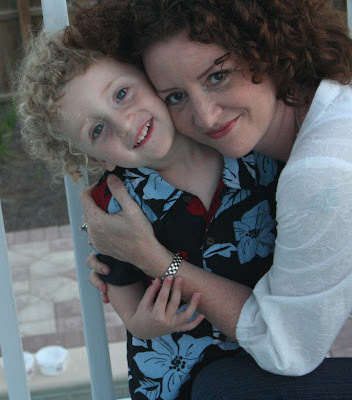 I’ll hug my little one tighter tonight…and watch him like a hawk at the beach. what a very scary thing to happen. So hard to share when they are so real and it shows you how things can happen so very quickly. What an awful ordeal. I am so happy that it turned out ok. Thank God for a miracle. My prayers will be for your son and you and your family to regain peace. I can only imagine, but not know, the true agony you experienced…the fear your child felt. Thank you for your strength in sharing as other children may be saved from your story. I know that I’ve never considered this possibility on our beach vacations…until now. I’ve come to your blog in a rather emotional state to begin with, and I am afraid this just pushed me over the edge. Thank goodness for miracles, and thank goodness your little one is okay. I’ll keep you all in my thoughts, for sure. Oh, I’m so glad he is ok, what a miracle!! How scary! Thank you for sharing your story. It is a scary reminder that bad things can happen quickly! Thank God he’s OK! I am going to make sure and be alert when I go to the beach with my kids. Wow, I heard of this one time and I want to thank you for alerting people to another hazard at the beach that they might not even think is one. Your son’s guardian angel was with him and God was with him and thank the Lord he is OK and you and your family averted such a terrible and unthinkable tragedy. I am going to hug my kids a little harder tomorrow. This brought me to to tears!! I will be very careful when we go to the beach next time. It’s terrifying to think that the danger does not only involve the water but also the sand. So happy for you and your family. You are so blessed. Angels were definitely with him. No sand in his mouth or nose that is truely a miracle!!! I am glad you received a miracle. I can’t even imagine what you went through during that time! That woman was his meant to notice the indent in the sand. Praise God Almighty for the protection of your son. Thank you too for blogging about this. I’ve never heard of it and will be very alert going forward. Thank you so much for posting about your horrendous experience. And thank goodness for the safety of your son. We’ll be headed to the beach in a few weeks, and this has convinced me to watch out for big holes… I remember something happening at our beach in NJ one summer – so it definitely is a problem that has caused tragedy for many families. Oh, I cannot even imagine the fear. I thank you so much for writing this, and to 5 minutes for mom for directing me to your blog. We just moved to San Diego and have three very young children who love playing on the beach now, and I am so glad to know about this type of emergency. So thankful for the wonderful outcome! I wasn’t even aware of this type of thing. Thank you for sharing so others will know and be aware. 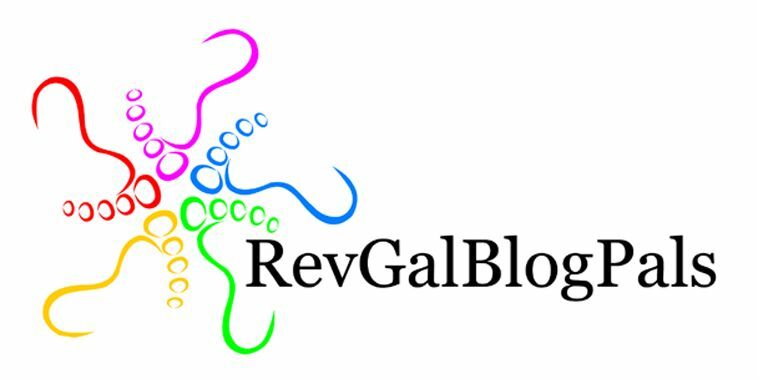 Earthchick, your story compelled me to begin a blog today, one that I have been comptemplating for quite awhile, but lacked a name to capture my essential focus. So,here’s my new blog on blogger: Beyond Grateful. I am SOOOO glad he is ok. Best wishes to you and your family as you take the time to hold each other close and heal from the pain of such a nightmare. Thank you for posting your story, and for the links you found. I knew that sand could be dangerously heavy and move quickly, but the general rule of “no holes more than waist-deep of the shortest person” is a great one, and now I know to watch very carefully. Many hugs to you and your family. Thank you again. Thank you for sharing your story – if it saves one child then it was worth sharing. Here from 5 Minutes for Mom. That is so scary that something like that can happen, and I am so happy that everything turned out okay for your family. Thank God. Thank you for sharing your story. i am so incredibly behind on blogs and came to yours to find the happy update, but i just have to say i am SO SO SO grateful and happy for what can only be called a miracle. and thank you for sharing this, i will be sharing this story with parents, i would have NEVER thought. This made me cry! I am so relieved for you that he is safe! I hope your trauma and his quickly heal, but the joy from the miracle stays with you! I am very thankful that all is well with your son. I know what you are feeling, my boy stopped breathing in my arms when he was just a baby, I literally held him while he “died” fortunatly we had not yet left the hospital and a nurse was able to revive him. He too is totally ok. But it took me months to get begin getting over thet fact that for some minutes, I knew my baby was dead. Three years later I rarely think of those moments ( except when I wake him up to make sure he is breathing!) It will happen for you too, time will blur some of the fear, and life will get in the way of grief. You will be totally ok too. Big mama hugs to you! Oh wow, how terrifying! I’m so glad that woman thought so quickly and that everything turned out OK. I used to play in holes in the sand like that all the time as a child, now I’ll be aware of the dangers when I take my little ones to the beach. My husband had this experience as a boy and was buried for 40 minutes while a friend ran to get help. He is well today, but three years ago our youngest was in a near drowning accident and was gone for about 22 minutes. She is turning five on thursday and hasn’t begun to walk or talk. We have faith that she will be completely healed. I’m glad to hear your son survived this accident. I am susie’s daughter and i heard all about the accident. I never got to meet the boys but they are so cute and they sound like great kids! I’m so glad they he is ok and unharmed. I have tried to comment on this several times but just keep crying. Maybe I am just supposed to tell you that? Wow. Thank you for having the strength to share your near-tragedy. I’m sure it will help to save other children’s lives too. I cannot imagine the horrific feeling of thinking your child has died. We’ve had lots of ‘normal childhood mishaps’ which can be scary enough, but nothing can compare to the fear you experienced. I am intrigued by your emotional pull in both directions. THank you for sharing that too. I can’t even imagine what you went through in those five minutes! Reading that brought back a horrible memory when I lost my daughter on the beach…luckily she had just wandered off. She had wandered over to some boys that were digging a huge hole in the sand so I got goosebumps when I read your story. I just put a link on my blog to your story. I think it is really important to get the word out of this danger. Thank you so much for sharing your story! I have a five-year-old boy and live at the beach…I cannot thank you enough for sharing your story. I had not thought of this happening. God bless you! Thank you for sharing your experience. Like many others, I had no idea. It must have horrifying for all of you! I am so glad it was one of those life changing events with a happy ending. First of all, thank God your child was found in time and thank you for sharing your experience. My daughter and her family have just finished up a vacation in Florida and I have sent her a link to your near tragedy. I have a feeling you have made many people be more aware of yet another danger our beautiful beaches pose. Goodness, there really are no words. I am so glad it was all ok, but horrifying, nonetheless. I am so sorry you went through this! I am so glad everything turned out all right. I would have never thought that anything like that could even happen. We live about an hour from the beach and we visit there all the time in the Summer. THANK YOU so much for sharing this! I needed to read it. It truly is a miracle that your little boy is alright. What a thing to happen. Thank god you had the sense to realise how serious things were. You must feel the luckiest people alive! I have no words. Bless all of you and your guardian angel, Erika. Thank God for Erika and that you are all safe. My friend sent this to me as we are preparing to take my toddler to the beach. We are a diggin’ type of family, but I will be cautious, and will definitely fill in any holes nearby. Thank you for sharing this, too – I had no idea, and I know it must have been hard to write about it. This has brought tears to my eyes to read. I am so glad your little boy was ok and I hope you’re all healing from it. Thank god for that girl. I’m so glad your son is okay! Thank you for sharing your story and getting the word out. I will be even more careful with my kids at the beach. what a true miracle indeed. You are blessed. God has plans for your little guy. It wasn’t his time, just like it wasn’t mine. I do not know what my “bigger picture” is…but it will happen in time, I am sure. This was and is an amazing story… who knew??? peace to all of you as you recover! THANK YOU for sharing your story! Sending blessings to you mama as you sort through the what if’s…. OMG 5 minutes seems an eternity when a child is missing. Thanks God he is ok! Do you have ANY idea just how fortunate and blessed you are?? That is incredible. Happy for your family and glad you shared! We vacation in the same area as you were at. We Saw kids digging a pretty good size sand hole. Chair attendant told them they would have to fill it back up and stomp on it as they were filling it. Thank goodness for that attendant and thank goodness your child is OK! Praise Jesus, you experienced an absolute miracle! Thanks be to God alone. Praise God for the miracle He gave your family! God was with him that day and every day! I live in Panama City Beach and I have never heard of such a thing! I have 3 young boys so I am thankful for your post! Thank you for sharing and Praise God he was/is okay! That is a miracle, praise the Lord for him being safe now and doing good, prayers for you & your husband, I can’t even imagine what you must have gone through during that time. Thank goodness that your child is OK. I witnessed the same exact thing several years ago on the beach. A mother was standing with her child and all of a sudden the child was gone. Again, someone saw something in the sand and they started digging. Luckily, the child was saved. I had never even heard of something like this happening and would not believed it if I had not seen it with my own eyes. It was so scary to watch. I now how my own child and I am always very cautious when at the beach. Wow, who would ever think a child could vanish so quickly into the sand??? I cannot imagine the terror of losing (or thinking you lost) a child…it is so unnatural, as children are supposed to bury parents, not the other way around. Hopefully, readers will remember this post when they are at the beach and someone suddenly and inexplicably is missing. Your post could save a life. Oh my. How horrifying. I am so happy you found your babe. I cannot even imagine. This is likely to give me nightmares. Wow thanks for sharing. We go to the beach in a couple weeks. I am so very glad that your precious little Rob is alive and fine. Ahhhhh! With little ones, my fear is always the water. AND>>. We are headed to Santa Rosa Beach on Sunday…. I will now have this at the top of my mind. It’s a good thing to know, a terrible thing that could happen. I am so happy your little boy is alright!!!! Wow! I never would have thought digging holes in the sand would be that dangerous, I’ve always assumed when the tide rolled in they were filled with sand. I’m happy that all turned out well for you and your family. Our son likes to walk behind us when we are walking on the beach…. never again! Thank you for taking the time to share this life changing event with us. I’m sure in the future your story will save many lives. I was a park ranger in a very popular beach park. While our beach had never had an occurrence such as this it is a known phenomena. Some beaches are more prone than others and many have signs posted warning visitors of the danger…yet most tourists/ visitors are so excited they miss warnings. You were very alert in noticing the beach flags. Many ignore theses as well. I am so happy your story ended on a positive note. Likewise here are warnings for beach goers, is your beach freshly renourished, mother natures forces are strong and will work hard to reclaim her patterns with tides and undertows. Read the signs learn what dangers are present. Lastly if you make a giant hole in the sand during your visit refill it before you leave.. leave the area as close as possible to the way you found it. It is your duty to those that follow after you, and the duty of those that came before you to ensure everyone’s safety. The most destructive, dangerous animal on the planet is man. Oh my goodness,…. I am so happy that your little one is o.k. I was just speechless reading this. All I could think about was my little ones. I did not know that this could happen. An angel was most certainly watching over him. God performs miracles everyday, and God had his loving arms around this precious child because there is no other way he would have survived this..being without air for over 5 min…well we all know he would have been brain dead even if he survived…your brain cannot survive without oxygen. I Praise God that he had his loving arms around this baby and he is a healthy normal little boy.. SO terrifying! Thank you for sharing your story. Sharing this can save lives. That is so scary. God was with ya’ll. I am so happy you had a happy ending. Your fanily has truly been blessed. Amazing story. Thanks for sharing. We are headed to the beach and they were talking about digging the biggest hole yet. We will be guarded with this story. Thank you. SO happy for you. I once lost our son for 2 minutes in Hilton Head (wandered off). It was by far and still to this day the worst time of my life. Glad things turned out fine in the end! I’d never expect it could be so easy to literally lose a child at the beach. I’m so happy your baby is alive, healthy and safe. When my son was young he wandered away from us on the beach and no one realized. It happened in a flash. Luckily he was found walking down the beach getting a pail of water and couldn’t find us, but it was the scariest 5 minutes of my life too. I wouldn’t wish it on anyone. Be well and enjoy time with your family. That is life-changing; thank you for telling your story. We are moving to a place where we will be at the beach daily… my eyes are wider open now. My heart dropped to my toes as I was reading this. I can not even begin to imagine how that must. Feel. So glad you baby is safe and unharmed. Someone was looking down on you that day for sure! Reading this has left me almost speechless, as well as informed — thank you and I am so very glad everyone is okay! Our lifeguards in Ocean City Md do not allow visitors to dig large holes for this reason. Some people get annoyed with the lifeguards because they just don’t understand the dangers. Thank you for informing other parents who have never heard of this happening. I’m so happy that your family had such a good outcome. I am so glad that he is okay and that you shared this. I cannot imagine what you must have gone through. I have shared this as well. Hopefully, through your story, lives will be saved. Praise God!! He is mighty!! I am so glad Rob is ok and you have your precious child safe with you. I have been aware of the dangers of digging wholes on the beach and falling or tripping into them for years. I always tell people to be careful of this. Danger in the water is well known and publicised but this is a real danger and has killed people on beaches before and we are not warned. This is something all should be aware of when at a beach. I think there should be some sort of water/sand safety on the beach campaign. Yet this danger on the beach isn’t very widely know. Thank you for sharing your this, l have shared it too in the hope word gets out there and hopefully stop anyone having to go through such a thing or at least have awareness of it and maybe save those 5 minutes. Thanks for sharing your story! We’re on the beach a lot and this could be life saving information! ((((hugs))))) to you! I would still be a mess if that happened to my children!! A true blessing and miracle happened for you!! Wow. Thank you so much for sharing and I can’t blame you for needing to take a break from your typical blogging for awhile, but I can tell already that by sharing this blog (story) it is going to help a lot of families!! I have shared this with all my friends/family on Facebook, as well!! Blessings to you and your family and incredibly thankful your son is okay!! Tears streaming down my face…. happiness for your outcome and complete sadness for those who have the other outcome. Sometimes it’s horrifying what can happen in just minutes!!! I can understand the lingering uneasiness. I once watched as my 8 yr. old son dangled from a waterfall…so sure he was going to die, but fortunately, God blessed him that he was rescued by his uncle and cousin. It took about a week for it to totally sink in that he was now safe. I kept dreaming that he went over the waterfall and died, and then would wake up astonished he was still with me. Thank you for sharing this story. It must have been difficult to tell. I know, despite the fact that you are very diligent about the safety of your child, for some, guilt still looms over you in a situation like this. I should have this…. or what if that….. . I recently had a similar situation with my son. A current in a seemingly calm river prevented him from being able to come back in to the bank. I jumped in thinking I could just grab him and bring him in but I was wrong. All the years growing up on the beach, living in and near all kinds of water couldn’t prepare me for how shockingly strong this current was. After fighting the current for what seemed to be an eternity, my mind was filling up with thoughts of death and drowning – the both of us. Luckily, a stranger pulled us out downstream. It was all very surreal. And yes, afterwards you do treasure every little smile, every giggle even every disagreement. I don’t think I will ever be ‘normal’ again. I am so very glad your boy is alive and well. I am so very glad he is ok. What a horror-turned-miracle. I too, had an experience where I thought one of my children had been killed. Though it was only for a few minutes and all ended perfectly fine, those few minutes/my perceived reality were so traumatic that I still needed to recover as if it had really happened. I hope you and your family are able to fully recover and find freedom from the fear and ‘what if’s’ that can plague us. Thank you for sharing and shedding light on a topic that most of us have never even considered. May God give you peace. God wanted him alive and brought him back to you. I am so shaken reading your story but am so happy that you got your son back. Gratitude to God by connecting with Him would be the best thank you. So happy all turned out so well. I cannot even imagine the terror you felt. I honestly can not imagine what all of this must have felt like to go through, and I am truly very sorry. I just wanted to thank you for putting your story out there, as I am sure that many people, like myself, have never heard of this happening and should this ever occur, would never think to search in the sand. I can’t imagine what it must have been like for you to relive by writing it out, and I hope that it reaches and bring awareness to people, I know it’s little comfort, but your story may save a life. Thank you so much for sharing this! I will share with other parents also. So grateful your little boy is safe! Thank you so much for sharing! I will share with other parents also. So grateful your son is safe! Life changes in a heartbeat, doesn’t it? I have never heard of something like this – thank God your son is ok! 5 days ago, my newly-retired husband and I were on a driving vacation. We had been to visit our daughter and grandchildren, and were making our way leisurely back home. At a spot in Arkansas, we stopped to hike a little and stretch our legs, husband slipped and fell about 12 feet off a ledge into a rocky creek. After a trip to the hospital in an ambulance, a medevac flight to a hospital in Tulsa, and a 2-day drive home, he is resting and recovering from both broken wrists and a shattered face. He could have easily been killed or paralyzed – the angels were looking after my husband, too! Thank you for educating so many people through such a horrific experience. Sincere gratitude that your little man is well, You are truly blessed, Believe me there is nothing worse than burying your baby.- thank God daily that you did not have to do so. Huge hugs to all of you. Very happy to hear you child is doing well!!! Thank you for sharing your story. I cannot begin to imagine the fear that you felt in those moments and I suspect that you don’t go more than two minutes without thinking about it. Thank goodness your little guy is okay. You and your son would likely benefit from help with PTShock. Don’t discount the need. The experience was short but brutal and will have a lasting effect. Praying that Lord continues to heal you from this trauma and that you are able to move forward. I cannot imagine the terror you felt. Praising God he is ok! God Bless you!! obviously….so thankful. I can only imagine the emotions writing this letter to all. God Bless you and your family. What an unimaginably horrible thing for your family to go through. I’m so, so happy that your son’s ok! Wow. You poor thing. You blessed thing. Thank you so much for sharing this. I don’t think I have ever thought too much about that. (now I do!) Thank you and I am so very happy your little one is okay! (I shared this with other moms as well) Blessings!! I’m so very thankful for you. You did have an angel with you – she looked just like a lady, but in fact, she was sent by God to be there for you and your baby at that time. I do believe! Thank the heavens and what a true miracle for Erika being there and for your son to be alright. I can’t even fathom what that must have felt like. What an awful thing to happen. Thank you for sharing. I will absolutely be more aware after reading of this. Some Jersey beaches do not allow people to dig holes in the sand anymore for this very reason. I think it should apply to all beaches…an angel was most certainly looking out for you, God bless. Thank you so much for sharing your story! I never would have thought in a million years to check the sand. Thank you for opening up to us, your words could save lives this summer! Your post made me cry. We are headed off to a month of playing at the beach in Canada (maybe a little different, more rocks less sand) but your post will be in the back of my mind the entire time. Judging by the other responses to your story, I’m not the only parent who has been touched by it. We will never know for sure but you may have saved a life or two. Thank you for sharing. I am grateful that you shared this post, I would never in a million years have thought that something like this would happen… we always think our children are perfectly safe digging in the sand! I recently gave birth and there was a cord prolapse which cut off the baby’s oxygen supply. She was born not breathing. It took the nurse ten minutes took get her to breathe on her own after they got her out. Then she was put on a three day hypothermia treatment because of the asphyxiation. Thankfully, because of the amazing team of nurses and doctors, she was able to come out of it with no ill effects. Your story and the way you described how you felt during and after your son was rescued was exactly the way I felt while I was watching the nurse resuscitate my daughter. I truly believe that a miracle from God saved my baby and your son. I wish I could give you a hug but, since I can’t, I’ll go hug my daughter instead. Thank God that she saw the indention and all of you were able to dig your precious son out. I have to share with you a story about a 12 year old little girl that died due to being accidentally buried with sand. She and a cousin of hers were playing on the side of the dirt road they lived on, not much traffic on it and those who did drive up and down it drove slowly because they were used to all the kids playing on that particular road. These little children had done this hundreds of times before, digging in the sandy bank, making make believe pies and such with the sand they dug out. Her mom was inside their home, just yards away when she heard the scream of one of the children. Panic overtook her because she knew it had to be bad for him to be screaming like that. As she came out the door to see what was wrong, the child collapsed on the porch, the doctors say from the shock of what he witnessed, having seen his sweet little cousin get buried underneath the sand. He suffered a heart attack at 12 years old. His only words were, she is buried in the sand and then he collapsed. The mom of the little girl who was underneath the sand in the bank, screamed for her husband, she told him what had happened, he began to dig in the spot where he saw they had been digging in the sand. By the time she was dug out it was too late, she was not breathing, no pulse and had sand in her mouth and nose. She was under there for approximately 8 minutes. When the ambulance arrived they tried desperately to revive both children but were unsuccessful. That family lost 2 children that day. I will never forget that and it stays in my mind. When I became a mom and a grandma I never let my children play in sand, or any kind of dirt. When I took them to the beach I always very aware of the sand at all times and very aware of exactly where my children were at all times because of what had happened to these precious children. If you had never witnessed anything like this or never told about these terrible dangers of sand or dirt, you really wouldn’t normally think of something like that happening. Her daddy was a pastor and he and his sweet wife were able to get through that horrific time in their lives because of their strong faith in God, with out Him they wouldn’t have been able to get through it or the parents of that precious little boy. I am so happy to know that your precious son is doing good and did not suffer any damage to his body. Praise God!! God is watching all… stay blessed! Heading to Gulf Shores tomorrow from Texas, with my 2year old and I’m so glad I read this. Big hugs to you and your family. Wow thanks for sharing. I am so happy your baby is okay. I knew a couple years ago who lost a little boy in a similar way…not at the beach but he fell into a ditch and dirt fell onto him. It was very sad and I remember feeling very sorry for them. I am so glad that your little boy is ok.
Our children are so precious to us and sometimes as parents it seems we worry all the time. That had to be scary. My niece and her cousin (on her fathers side), both 12 yrs old., were in Panama City, FL recently with a church camp, and my niece couldn’t go in the water but her cousin went in, and got pulled under the rip currents. She later died at the hospital. This will affect my niece for the rest of her life. I just hope that it doesn’t make her (and your child) afraid of water. As long as everyone is aware of the possibilities, conditions, and what to do in this situation, tragedies and near tragedies can hopefully be avoided. Your story really moved me. It was sent to me by my sister-in-law. We spend a week each year at the beach with our young children and I can’t imagine how that moment (or five) felt for you. I look forward to following your blog. You seem very real. She has become a strong advocate for families who lose children in tragic situations. I am so happy that you and your family escaped this situation and are okay. I’m soooo glad you were able to get your little guy out of the sand hole. This was overwhelming to me that something like that could happen. Thank the man above and the people around you for sure. Have a beautiful evening or day wherever you are! So grateful your little boy is alive and fine and is always the case the Mom will suffer all the what if’s and could have been’s for much longer. Be gentle with yourself. This story is so important to share and I will share it in Rob’s and Erika’s honor. I am sitting here crying my eyes out right now, because as I read your story I felt your fear….I have been in your situation a few times…and know all too well that I have some amazing guardian angels watching over me and my kids….. I am so happy that things turned out well for you! thank you for sharing! I know this is several years old but I wanted to comment and say thank you for sharing this story that I might stumble upon it via facebook. I would have never thought kids digging in the sand could lead to this. It makes me mentally note both sides of it: 1) don’t let my kids dig holes in the sand/make sure it is filled in COMPLETELY before we leave and 2)scan the area of where we will be sitting for any potential hazards. this gave me chills, there is only one explanation for his safety…it wasn’t his time…and God has things for him to do…. He also needed someone to get the word out about this kind of thing, so therefore He is using you….go for this bigtime..BIG. Mother Theresa said, “We are all pencils in the hand of a writing God, who is sending love letters to the world.” So please don’t stop writing. He has given you and your son a personal mission, I can only dream of what your son will say in his grown up years. Wow, thank you for the heads up! Who would have ever thought that could happen?? Very scary indeed! Amazing. SO glad everything turned out OK! I just spent most of this week with my dear sweet friend whose son died in a grain bin accident. My heart aches for her. I’m so thankful your story turned out so different. Praise God! God is good all the time. Thank you so much for sharing this. My aunt shared it on facebook and that’s how I was able to read it. That is so very scary. I would not have thought about this happening without your post. I’m so happy that your child is alive and well. I’m not one to offer unsolicited suggestions, but I invite you to explore Somatic Experiencing as a way for you, your child and your family to heal and move forward from this traumatic event. http://www.traumahealing.com I wish you all the best. I found my son in his room blue all over his body and laying face down on the floor by his bed. As I was reading your post, all of the emotions came back to me, I was so scared for you. I can’t imagine my child just vanishing, and all the what if’s running though my mind on your situation. My son started breathing again on his own, and they are still unsure of what happened, but I thought at that moment he was gone forever. I am so fortunate for the miracle…and you almost reevaluate your life. I took off work the whole week after it happened, just to spend that much more time with my 2 kids. This just happened today here in Northern Indiana….. I am praying this boy is ok like your son. I will defiantly be taking your safety measures to heart since Ive read this and seen it locally on the news. Its heartbreaking, and I am so glad everything turned out ok for your son!! Absolutely terrifying, your story had me holding my breath and gave me chills. SO glad you found him safe! Thank you for sharing your story so that others can be more aware. I have never heard of this happening and never would have thought about it. I had a friend who pulled a child out of the water – in the darkness, in a muddy pool, by the hair and after it was revived the parents chided the rescuer for pulling her by the hair – what else could she do ??? What is wrong with people? That should have been thanking your friend for saving their child’s life. Very sad. Wow, I live in Bermuda a and summer is all about the beach. I have 3 lil boys and this story will make me look allot closer at beaches we go and the whole I see or dig with the kids! Thank u! Nothing to do with any ‘god’ as what type of ‘god’ would allow this to happen in the first place? Thank goodness for everyones help and the girl noticing the sand indentation,managing to dig him out! Luckily the hole was big enough to have an air pocket! Wow! Praise to the first responders and the hospital full of medical experts. Thank you so much for sharing this situation. We are heading to the beach tomorrow with my four year old and I’m glad I found out this could happen before we left. Last week at our city’s Fourth of July celebration, my son disappeared for about 5 or 10 minutes. I’m not sure of the time. He had been repeatedly running through an inflatable jumper obstacle course for about 30 minutes. The fireworks were about to begin and suddenly we realized he was gone and his shoes were gone. I had all of those same feelings not knowing if he was ok, if I would ever see him again, if a stranger had taken him. It’s the worst feeling in the world and I’m a little nervous about the beach. I will definitely be watching him like a hawk. While this was happening to your family I was at the beach for a fun filled week with my daughters and grandchildren. What were they doing . . . digging holes and playing inside. I honestly never thought there would be a problem. Thank you so very much for sharing your story I have great respect for the ocean which now will include the beach as well. Thank God for watching over you and your little guy! I was at that beach earlier that day and had left to return home leaving my children and grandchildren there. I know the grief and fear that would overtake me if it had been one of mine. I also know that while bad things do happen in our lives, there is a God who loves us and can give comfort in times of despair and heartache. I pray you find comfort in knowing Him. What an amazing story (only because it ended as well as it did). I can only imagine how this has been on you and your family, because I know I will never be the same at the beach again! My prayers are with you that you are able to heal in your heart, although I can understand how hard that is going to be. Thank you for sharing your story and making people aware of the dangers we might otherwise not be aware of in a situation such as yours. From one loving Mom to another God bless your little angel and enjoy every second you have with him because they are all gifts from God! First of all I just want to say I am so glad he is ok and everything is fine ! I however do want to point out that was not luck that was the good Lord up above looking out for your little boy! God, is still in the Miracle business!! There was a reason for that happening. Through that difficult time you have became a stronger person I am very sure of that. I will continue to pray for you and your family. Just remember God sent that wonderful Angel to help you find your Son that day. Please do not take anything forgranted!!! Wow. So glad your little man was okay and it amazes me what angels are walking on Earth for us. I live in Destin and when I go to the beach I just get soooo nervous about children digging in the sand especially when they are in below their heads. I have been yelled at because I have warned the families of the dangers of what our sand can do! Although it is chrystal white and beautiful it is also very soft and dangerous. I feel there should be warnings but when people are on vacation they feel they are excluded from the dangers of sun and fun. I am just so happy he was saved. Spread this story so that more children will be safe on our beaches. This is a very serious and scary thing that happens way too often. People need to be made aware that innocently “playing” in the sand at the beach can lead to an event like this. I am so grateful that you found your angel alive and well. I am also thankful that you are willing to share you story so others will know. If you dig in the sand…fill the hole back in and pack in down!! No way! So scary! So thankful for you guys that he is OK! I am sure angels were with him. Reading your story brings to the surface 2 things for me. 1. We live in Navarre and we are at the beach all the time. I can’t even begin to recount how many time we have been walking and step into a “hole”. The surface of the beach looks smooth and then all of a sudden your foot is in the hole. I never even thought of how a small child could just vanish into such a “hole”. This I believe is a caution that should be posted for all to be aware. 2. When one of my daughters was 16 months old she had a “freak accident” and my husband performed CPR and brought her back while waiting on EMS to arrive. I was 15 minutes away when he called me and said “Don’t freak out, I just did CPR on Patricia.” When I arrived to our neighborhood to find every emergency vehicle and a helicopter in my front yard (I could not even drive down my street) I thought we had lost her. When I got to her (seemed like the road was getting longer as I ran toward my house) she sat up and said, “Hi Mommy”. She is 7 now and perfectly ok. My point of sharing this is, I know that feeling and I everyone thought we should be able to just pick up since everything is “ok”. But the emotional strain and effect it has on you is something no one can understand. What if my husband was not a medic that knows and has performed CPR? What if he had responded like so many that freeze when it is their loved one? What if he had not found her in time?… I can tell you that a day will never pass that you do not look into that face and thank God. I would love to talk to you and be a support for you. Love and Blessing to you and your family. What a miracle that he is okay. Thank you so much for sharing this…I had no idea something like this could happen. I live near Galveston, TX and just shared your story with everyone I know. God bless! Oh my goodness – how terrifying! It was just yesterday that I took my two little boys to the beach and watched them play in the sand. I never would have thought to be aware of such a scary event. Thank you for sharing this. I am so very glad that everything turned out alright for you and your family. I had lost my son Steven at the beach when he was two. I went through the same hysterical thoughts and feelings you had luckily he was found three life guard stations away safe and sound. I’m sorry you went through this ordeal but you are kind to share it and open others ideas to what can happen at the beach. While I can easily understand your emotional response to this terror, I want to encourage you to work at coming back to normal. Your little boy needs you to relate to the world normally, not as a post traumatic event Mom. Don’t let this define your future. Oh my goodness! So scary! Thankfully he is okay. Big hugs!!! I’m so sorry for your experience and so thankful he is safe back in your arms again. I don’t know if this will help and , but I’d like to share this with you…when my son was 15yrs, we were walking into a college football game and he was hit and pinned under a truck. I could only see my sons head from under the truck and could hear his pleas for help. After a minute, the whole world went silent and I could only hear my voice screaming…as you know, there is nothing more terrifying than thinking you are going to loose your child right in front of you and you can’t stop it. Someone was able to move the driver away and put the truck in neutral and an entire crowd worked to push it off my son. He was rushed to the nearest trauma center and it can only be a God thing that there was no permanent damage. I’m sharing this story because for the next year I relived over and over in my mind what happened, how it could have been prevented, what would have happened with a different ending, etc.. It was almost paralyzing at times. Eventually I learned that, along with God’s help, I could control how my mind thought about the event and that then made a big difference with how I felt. Instead of thinking my son was “unlucky”, I began to think he was the “luckiest” kid. Of course, that’s not to say you won’t use what happened to your child to inform others and hopefully save their lives in the process. I just want to help you with working through the painful memory part…. Hugs to you, your son and your family!! I cannot express how happy I am that you got your little boy back. I also cannot begin to imagine how terrifying that must have been. I have two sweet babies of my own and will definitely be giving them some extra squeezes after reading this. And some extra attention at the beach when we go next weekend. Thank you for sharing your story, though I’m so sorry you had to live through single moment thinking you lost your precious boy. Thank you GOD for saving this precious baby!!!! Hugs to you and your baby! Praise the Lord for His faithfulness and for supplying “the angel” to find your son. God is not finished with him yet! He has something great planned for him. Please continue to bless this family! my brother and cousin were playing on the beach digging a hole and playfully “burying eachother” up to their heads. We used to do it all the time actually…innocent. But, in this instance they dug a hole so deep enough for him to stand in, and buried him up to his neck…then he slowly started panicking and couldn’t breath. THe pressure of the sand was pressing on his chest and he was slowly sufficating. They had to run for help and quickly dig him out. So YES we learned those 15 years ago that it dangerous to dig in the sand! Such a great reminder this story-thank you. I will be watching my little girl more closely at the beach from NOW ON. Just the other day a 6 year old boy was dug out of sand. They claim it was a sink hole. Very scary, these sink hole stories. I live in Indiana. And this happened in Michigan City, Indiana. Only about 60 miles or so from me. And in Ohio there was a sink hole. It though was not in sand I don’t think. The terror you must of felt. I understand why you haven’t fully recovered from it. I will pray that God helps you thru this. Erika Orlando is a hero. What a smart, quick thinking young woman. You are so blessed that she was on the beach at just that same time. So scary. I am so thankful Rob is okay, but so sad no glory was given to God for this miracle. God is the giver and taker of life….He gave you another chance with your little man! As my young family typically spends a week or so each year playing in the sand, I can’t help but feel divine intervention have led me to read your blog for the very first time today. Thank you for sharing your worst five minutes – doing so may very well have prevented what might have been another family’s never-ending nightmare. Please make sure to watch yourself and your family for signs of PTSD – events like these can cause difficulties for years unless you fully process the trauma. I am in tears. God bless your family! EVERYONE should be cautious and alert as my 53 yr old cousin walking along waters edge with friend and little children wandered into an area where the water had eroded the sand beneath, it not being apparent on the surface. All were immersed but friend and his child were able to crawl back out. My cousin and daughter were swept out into the ocean and separated. The little girl saved but unfortunately my cousin was lost. Praise God. Prayers for you and your family as you recover from this. I can not imagine how you must have felt… Our daughter when she was 3 wandered off in a mall store and it took 5 eternal mins to find her thinking she was snatched. My heart feels for you . Thank you for sharing. That in itself will aid in healing. So thankful everything turned out ok..God is good! I never thought the sand could be dangerous! Thank you forpoosting so we will all be more aware! I live at the beach. I read a couple years ago about a teenage boy, playing football on the beach, just “disappearing” – he fell in a hole and it collapsed in on him and he died. I have 2 small girls and probably sound like the meanest mom at the beach b/c I won’t let them dig huge holes and I make them completely fill the holes back up before we leave. Its one of my greatest fears. I’m so glad your son is ok and that angel that thought to look in the sand. When I was reading your story, before I got to the “what happened” part, I kept thinking….look in the sand, look in the sand. Thank God for miracles! Thank you so much for sharing your painful story. You will never know how many other children you have saved with this information. I will keep a closer eye on my grand daughter if we ever go to the beach!! I used to just worry about strangers and the water. How horrifying! He really had God and Gods angels with him. I am so happy that this ended in such happiness. I totally can connect with your feelings of utter helplessness when thinking that you may possibly get back a child that was g-d forbid not alive anymore. I was in a hotel in Florida at least 20 years ago. My then 5 year old was all of a sudden missing. I ran around like a mad woman looking for her. The last place I check was the outdoor pool. My heart pounded as I scanned the water, hoping NOT to see a body. Thank g-d there was no body and she showed up a while later having been to a friends room and forgotten to tell me. I have never forgotten my horrified feelings while looking in that pool. Today she is a beautiful young lady with children of her own. This is a feeling I will never forget and still gives me the heeby-geebbies! Thank g-d, your story ended, as mine did, with such happiness!! I just saw this poste on facebook. I’m very glad that your son is alive and well. It must have been horrifying to not see him anywhere and then to find him under the sand. I have shared this post so that hopefully it will help save some other children and pets. Thank you for sharing your story. I know it was hard. Yesterday a boy was swallowed up in the CA Sand Dunes. He is on life support. Took two Backhoes to dig him out. As any of us that live in Florida know, sand can be extremely dangerous. I live in Orlando miles from the closest beach, and had an incident in my backyard. Apparently a Gopher Turtle had been tunneling a burrow under the edge of the yard from the field behind us. As I was walking through the yard on what appeared to be solid ground, the ground suddenly collapsed into the burrow. I fell straight down about 3 feet.and the sand fell in from around the edges. I was okay, but if this had been a child playing “safely” in their own fenced yard, it could have been much worse. Wow, I grew up on the beach in Michigan, and have never heard of this being an issue. So glad your family was ok, and will pass this info on to family and friends. we were in Myrtle Beach one yr where a boy holding onto his brothers hand just vanished taken away by the water and a drop in sand, the brother said, he just fell away. hours of searcing the water by professionals I just still pray for that mom who left vacation with one less child. how does one leave I kept saying… the beach has never been a joyous place since that acciend and looking out at the beautiful ocean has always since made me think of this young boy and family.And not looked at it with such awe. just respect and fear of it. How horrifying. Very scary situation…. glad everything ended well. There was a story on the news just today about a situation just like this, and luckily that child is alive, too, but still in the hospital. I’m in tears right now. I can’t even imagine what those 5 minutes were like. I’m a Mom of two boys, I can only imagine it felt like 5 hours! I’m SO happy everything turned out ok. Thank G-d you waved people down to help. My Sons play in those “holes” in the beach, and the ones kids already dug. When we go to the beach again I will be watching my boys like a hawk! What a wonderful outcome to a truly terrifying situation. A friend shared a link to this post on Facebook and I am so glad she did. I will definitely hug my kids tighter tonight. My family is heading to the Jersey shore and I have another item to add to our beach safety checklist. My brother and his family vacation regularly in Seacrest Beach and I will definitely share this with them. Thank you for bravely writing about your experience all those years ago and for continuing to spread awareness to help prevent more accidents like this. This is kinda weird to me. I kinda dont understand really. Your son fell beneath the sand? Makes no sense and its kinda hard to believe. but I am glad you found him and he is alive. You didn’t ‘somehow’get him back!!! It was a miracle!!!! God saved ur son that day and for that u should totally grateful to Him!!!! So glad he is okay and this scary accident ended well! Tons of hugs to all! No words. So happy for you. Thank you for the awareness…that shows love of people and a good heart. You could have easily kept this to yourself so glad you did not. Thank you. I completely understand what you meant when you said “it is hard to describe my other reality – the fact that for many minutes I was living with the horror and grief of thinking my little boy was dead. Those emotions and that fear got somehow seared into my mind and heart, and it has been hard to come fully back from those moments.” I have felt that fear and it is hard to let go of! I am so thankful for your blog. There have been so many time that my children have dug holes and we have left the beach without filling them in. Not only that but now I know to check the perimeter to be sure here are no holes. The last time we went to the beach my children continue to dig in a large hole that was there when we arrived. So so scary and I’m grateful for your story! I think all of us parents have had stories where we thought our child was gone. I’ll never, ever forget how it felt when my mom innocently played a trick on me. I had gotten to our studio before anyone else and dropped baby food jars by the door when I came in. I set my son in his activity bouncer and ran back to the door to clean up the broken glass. My son couldn’t yet crawl or climb and I was only gone for about 30 second. I went back and he was gone. The fear that consumed me was very real. I screamed for him and thought someone had somehow jimmied the back door and kidnapped him. When I saw my mom and baby around the corner, I burst into tears. She thought I was in on the joke and didn’t realize my screams were real. She felt terrible, but not as bad as I. That was 5 years ago and I still remember the horror and panic that only lasted for about 20 seconds. I can’t imagine being in your shoes and I cried as I read your story. But, thank God for blessing your son with such a wonderful angel as Erika. I thank you for sharing this story. I haven’t yet taken our son to the beach, but I will definitely remember this for the rest of my life. I’m certain your story has saved a lot of lives, whether they know it or not. Wow, this just made me cry. I am so happy your little boy is safe. Thank you for sharing your difficult story and so thankful it ended well. I am passing this along to my mom friends–we are all about to go on a beach trip with our kids. Couldn’t have come across this at a more perfect time. Here is another story of the sand dunes and a hole…. very scary! Here is another story about sand dunes and a young boy that was rescued. Very scary! Thanks for your article. I never really thought about it. My father in law lives on the seaside a few yards from the beach. I’m vigilant when I’m at the beach always. But I’d never even imagined something like this could happen. I’ve seen massif holes but no one ever filled them up. Thank you. Just wanted to say thank you for your post. I’ve two young boys, and I find myself scouting out the beach for holes everytime I go now (and we are there almost daily). The thought of losing one of them this way is terrifying. So glad your son is ok. I am so glad that your story had a happy ending. We are headed to the beach with our 3 small kids and nieces at the end of the month. I have never heard of this before and I truly feel that I found this blog post from 6 years ago for a reason. Thank you for sharing your story. I know this has nothing to do with our shows but it could potentially save a life so I have to share it with you! Pingback: Deadly Sand: Hidden Danger at the Beach | Live and Prosper! Praise GOD for that woman. The Lord protected your son. Thanks for sharing. First of all, I’m very glad your boy was found and rescued in time. Your hints for what to look for when you arrive at a beach I’m hoping will save lives. I wanted to add that we live in the Northeast (New Hampshire) and we do have beaches, but we also have lots of snow. Kids love to dig long tunnels through the snow, connecting snow forts to snow forts. The tunnels can collapse, burying a child with enough snow to trap them and rendering them not able to move. Hopefully this will help folks that may vacation in the winter months understand the risks also exist in other climates.